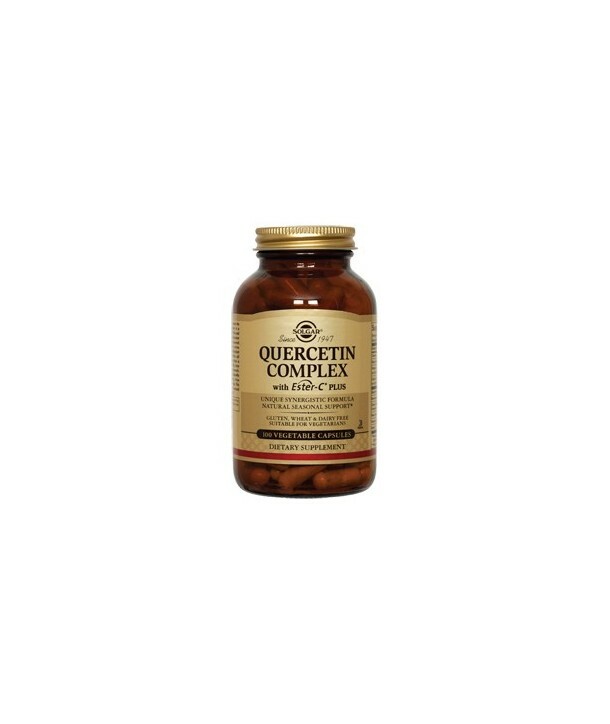 Solgar’s Quercetin Complex is exclusively formulated by Solgar and provides the important bioflavonoid Quercetin in a synergistic formula with Ester-C® and Bromelain. Ester-C® provides a patented method of supplementing pH neutral (non-acidic) Vitamin C to prevent stomach irritation. 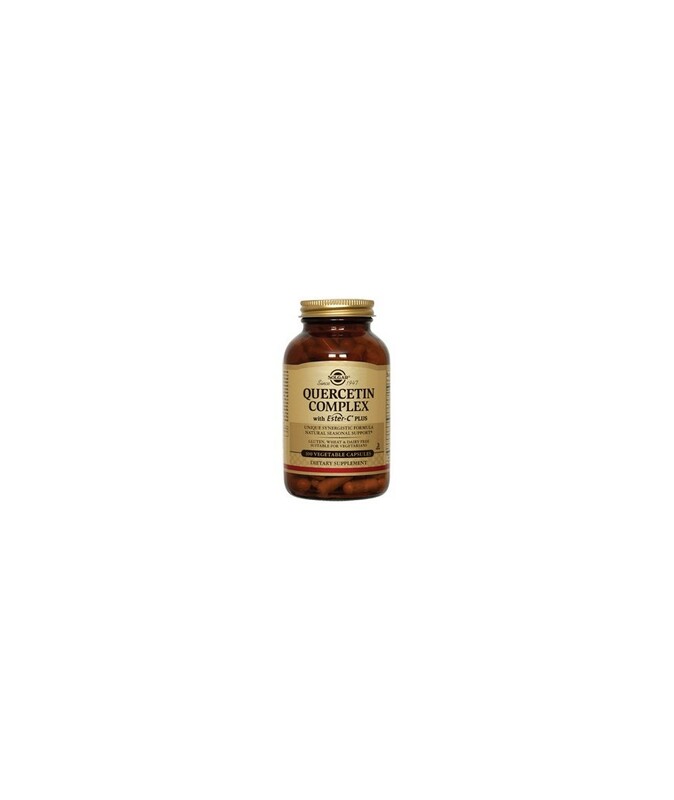 Solgar’s Quercetin Complex is exclusively formulated by Solgar and provides the important bioflavonoid Quercetin in a synergistic formula with Ester-C® and Bromelain. Ester-C® provides a patented method of supplementing pH neutral (non-acidic) Vitamin C to prevent stomach irritation. In addition, Ester-C® contains the natural Vitamin C metabolites that occur along with Vitamin C in nature. A special manufacturing process is employed to form a unique calcium ascorbate metabolite complex. Useful in cases of seasonal allergies to manage uunpleasant symptoms like allergic rhinitis.